A sum of Rs 83,346 crores has been collected as Total Revenue Collection under GST for the month of October, received in November till 27th November 2017. 95.9lakh taxpayers have been registered under GST so far, of which 15.1 lakh are composition dealers who are required to file returns every quarter. 50.1 lakh returns have been filed for the month of October till 26th November 2017, says a release from the Ministry of Finance. Revenue of States: The States have collected a total of Rs. 87,238 crores by way of SGST in the months of August, September, October and November 2017 (till 27th November). Further on all inter-state trade, a net amount is transferred from IGST account to the SGST account whenever IGST collected is used for payment of SGST. By way of settlement an amount of Rs. 31,821 crores has been released to the States for the months of August, September and October 2017. Rs13,882 crores is being released by way of settlement to all the States for the month of November 2017. Further, as per Goods and Services (Compensation to States) Act 2017, the States revenues are fully protected against any shortfall in GST collections. A compensation amount of Rs. 10,806 crores has been released to all the States for the months of July and August 2017 and a compensation of Rs.13,695 crores for the months of September and October 2017 is being released. The States revenues have thus been fully protected taking base year revenue as 2015-16 and providing for a projected revenue growth rate of 14%. 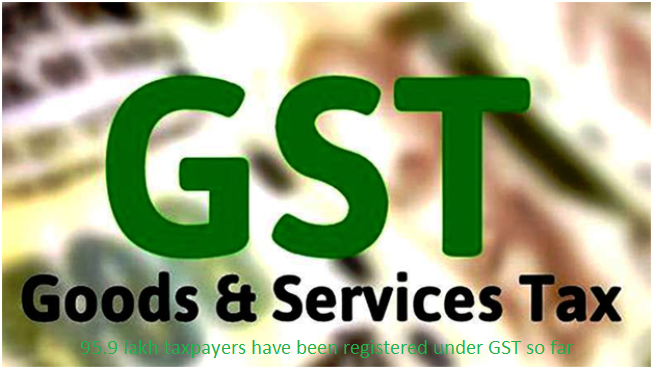 Centre�s Revenue: The total CGST income in the months of August, September, October and November (till 27thNovember) has been Rs.58,556 crores. In addition to this, an amount of Rs.16,233 crores has been transferred from IGST account to CGST account by way of settlement of funds on account of inter-state supply of goods and services in the month of August, September and October, 2017. Further, Rs. 10,145 crores is being transferred to CGST account from IGST account for the month of November 2017 by way of settlement. The major reason for the gap in income of CGST and SGST has been that more CGST liability has been discharged using transition credit rather than by way of cash. Thus, taxpayers are using the balance credit available with them in the previous tax regime, which is the reason why there is an additional revenue gap in the Centre�s revenue. � Since the overall incidence of taxes on most of the commodities have come down under GST, it would naturally have some implication on the revenues of the Government. Returns filed: The total number of GSTR 3B returns filed for the return period July, August, September and October 2017 till 26th November is 58.7 lakh, 58.9 lakh, 57.3 lakh and 50.1 lakh respectively.